Our 2019 graduation ceremony will be held on Friday, 21 June at 17:00 at Palác Žofín on the beautiful island of Slovanský ostrov in Prague. Admission to graduation will be strictly with invitation only as space is limited. We will also broadcast live streaming of the event via this page on our website for guests and family which will be unable to attend the ceremony. We invite our students and their family to document their journey to graduation by using the hashtag #UNYPGRAD19 on Facebook, Instagram and Twitter. 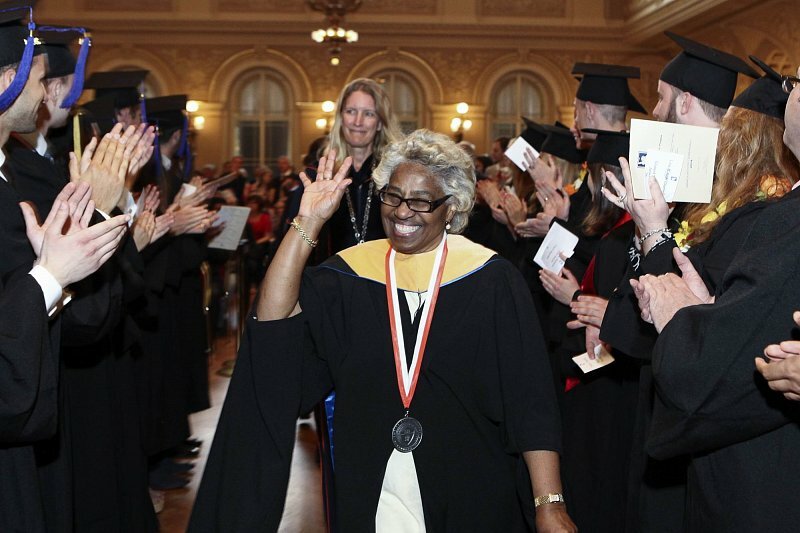 The University of New York in Prague was very proud to honor nearly 181 graduates from 33 countries graduating from eight degree programs in the annual commencement event for 2018. Our 2018 graduation ceremony was held on Friday, 22 June at 17:00 at Palác Žofín on the beautiful island of Slovanský ostrov in Prague. Admission to graduation was strictly with invitation only as space was limited. We also broadcasted live streaming of the event via this page on our website for guests and family which were unable to attend the ceremony. We invited our students and their family to document their journey to graduation by using the hashtag #UNYPGRAD18 on Facebook, Intsagram and Twitter. Our 2017 graduation ceremony was held on Friday, 23 June at 17:00 at Palác Žofín on the beautiful island of Slovanský ostrov in Prague. Admission to graduation was strictly with invitation only as space is limited. We also broadcasted live streaming of the event via this page on our website for guests and family which were unable to attend the ceremony. We invited our students and their family to document their journey to graduation by using the hashtag #UNYPGRAD17 on Facebook, Intsagram and Twitter. At the end of graduation we created the scrapbook for every student with the memories that we posted. 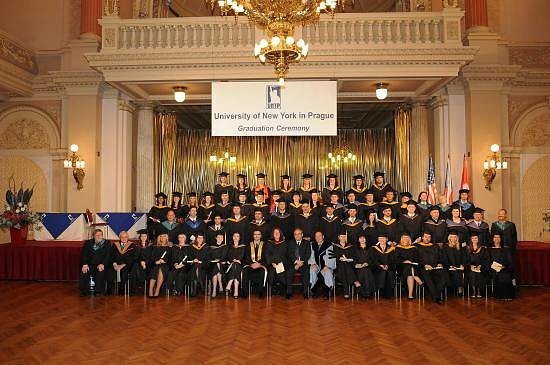 The University of New York in Prague was very proud to honor more than 150 graduates from 40 different countries from seven degree programs in the annual commencement event for 2016. 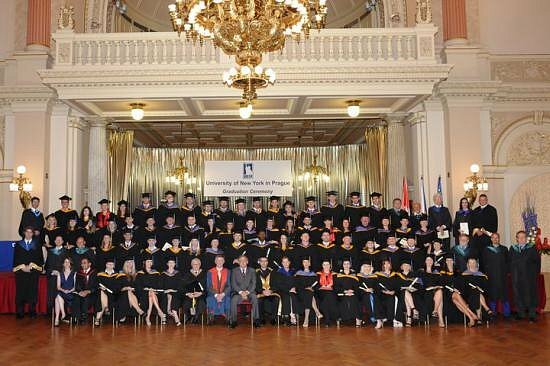 Our 2016 graduation ceremony was held on Friday, 24 June at 17:00 at Palác Žofín on the beautiful island of Slovanský ostrov in Prague. You can find photos from the ceremony here and here. 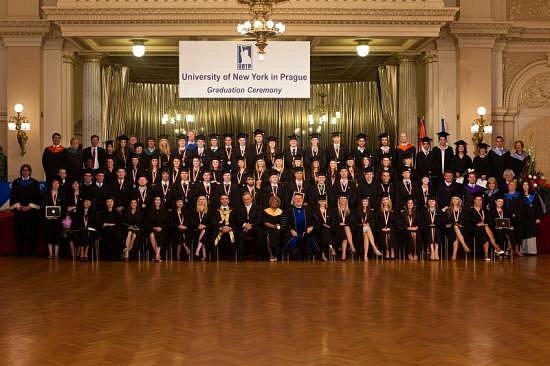 The University of New York in Prague was very proud to honor nearly 200 graduates from 40 countries graduating from seven degree programs in the annual commencement event for 2015. 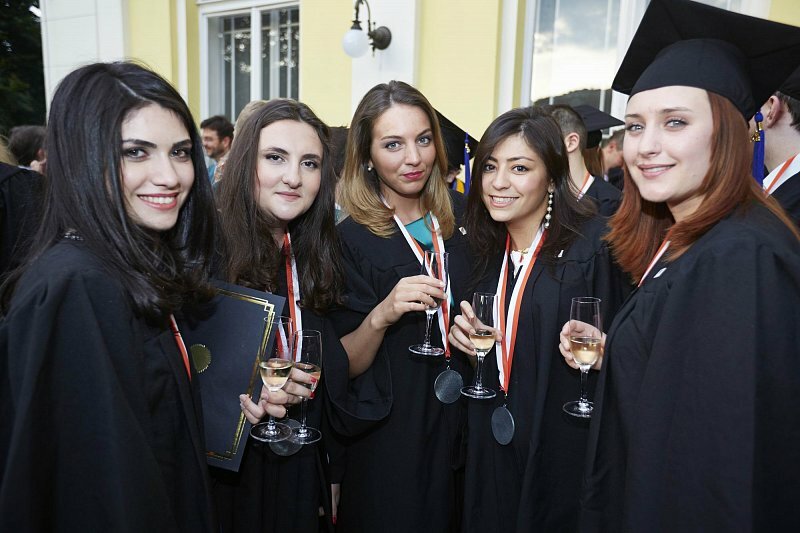 Our 2015 graduation ceremony was held on Saturday, 27 June at 17:00 at Palác Žofín on the beautiful island of Slovanský ostrov in Prague. Although it was an invitation-only event due to limited space, our graduates shared their experiences on social media with the hashtag #UNYPGrad. We’ve put together some of our favorite moments here and here. 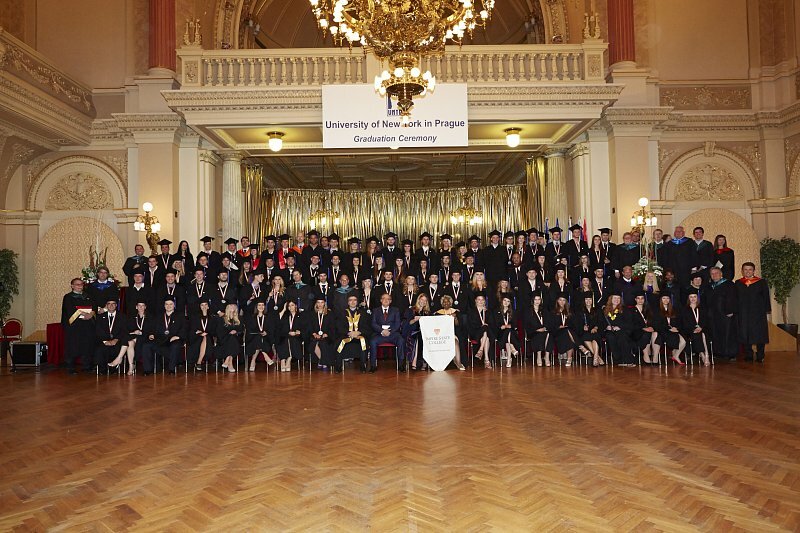 On 27 June 2014, the graduation ceremony for UNYP students took place in Žofín Palace in Prague. 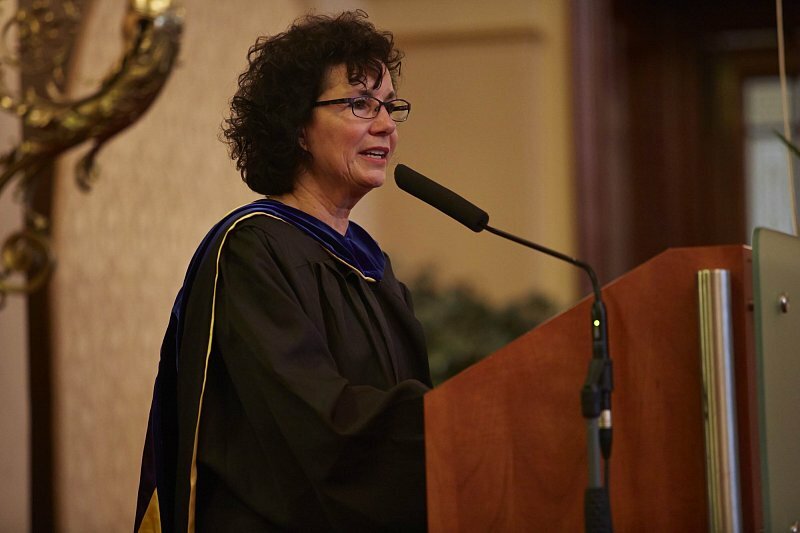 The keynote speaker at this year’s graduation event was Merodie A. Hancock, Ph.D., President of Empire State College, State University of New York. In addition, congratulatory remarks were provided by RNDr. Tomáš Hudeček, Ph.D, Mayor of the City of Prague. The commencement ceremony was performed by Doc. Ing. Helena Fialová, CSc, from the University of New York in Prague. During the ceremony, individual students were also recognized for their outstanding overall academic performance on their individual study programs. The ceremony was concluded by Mr. Ilias Foutsis, President and founder of University of New York in Prague and New York College Educational Group. During the graduation ceremony, diplomas were awarded to 183 students from 43 countries, both from UNYP and from its partner institutions. Graduates received diplomas in Business Administration, Communication and Mass Media, International Economic Relations, Psychology, Master of Business Administration (MBA), Professional and Business Communication, Clinical-Counseling Psychology, and International and Commercial Law. 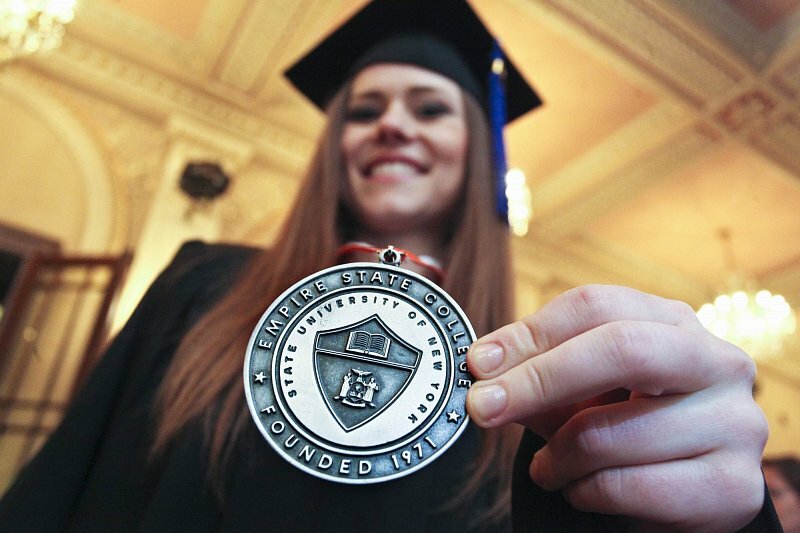 87 students earned American bachelor’s degrees from Empire State College (ESC), which is part of the State University of New York (SUNY). 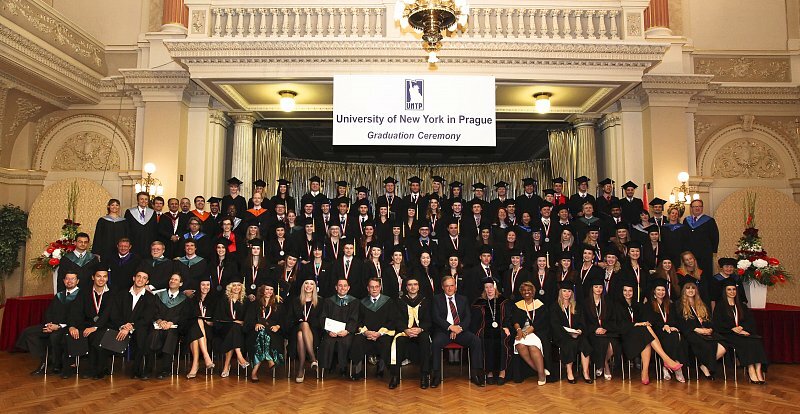 19 students earned European bachelor’s degrees from the University of New York in Prague. 35 students were awarded MBA double degrees from the Institut Universitaire Kurt Bösch (IUKB) based in Switzerland and UNYP. Five students were awarded Online MBA degrees by National American University. 12 students were awarded Master of Arts in Professional and Business Communication and 16 students were awarded Master of Arts in Clinical-Counseling Psychology from Philadelphia-based LaSalle University. Finally, nine students received Master of Laws (LL.M) degrees from Britain’s University of Greenwich. 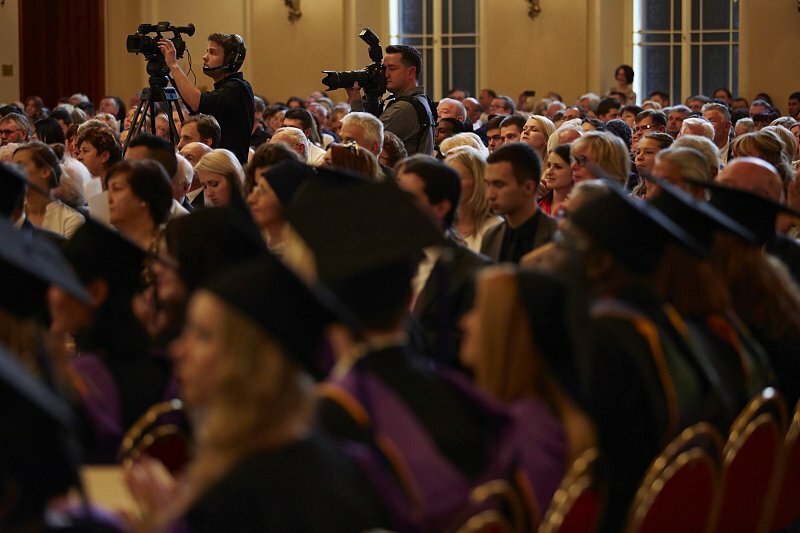 Over 800 distinguished guests, family and friends attended the ceremony to share in the success of our graduates and the whole event was covered by live streaming over the internet to allow relatives and friends to see their loved ones graduate from anywhere in the world. The management and staff of UNYP wish all our graduates success in their future careers or studies, and we proudly congratulate them on their academic achievements and successful graduation from UNYP. 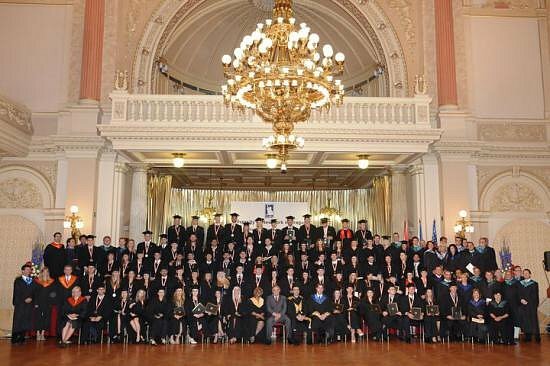 On 28 June 2013, the graduation ceremony for UNYP students took place in Žofín Palace in Prague. 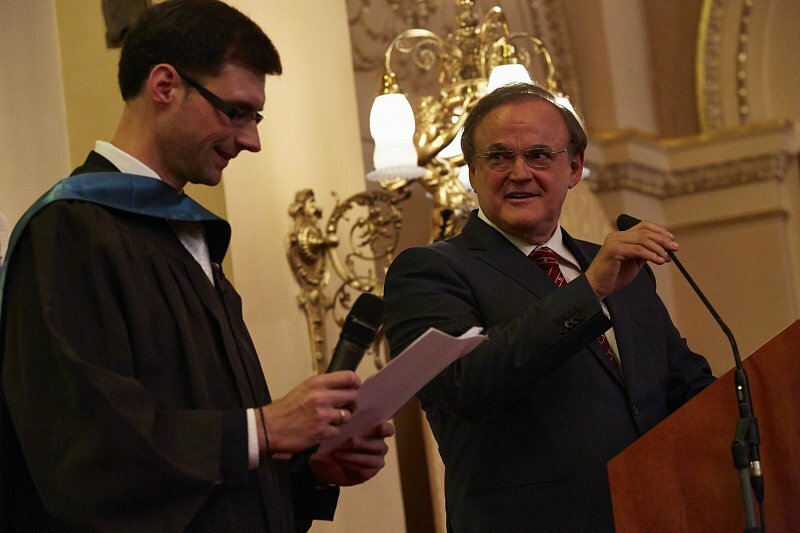 The main speaker at this year’s graduation event was Norman L. Eisen, J.D., B.A., Ambassador of the United States of America in the Czech Republic. During the graduation ceremony, diplomas were awarded to 197 students from 38 countries, both from UNYP and from its partner institutions. Graduates received diplomas in Business Administration, Communication and Mass Media, International Economic Relations, Psychology, Project Management, banking, Management, Marketing, Professional and Business Communication, Clinical-Counseling Psychology, and International and Commercial Law. The commencement ceremony was performed by Doc. Ing. Helena Fialová, CSc, from the University of New York in Prague. During the ceremony, individual students were also recognized for their outstanding overall academic performance on their individual study programs. 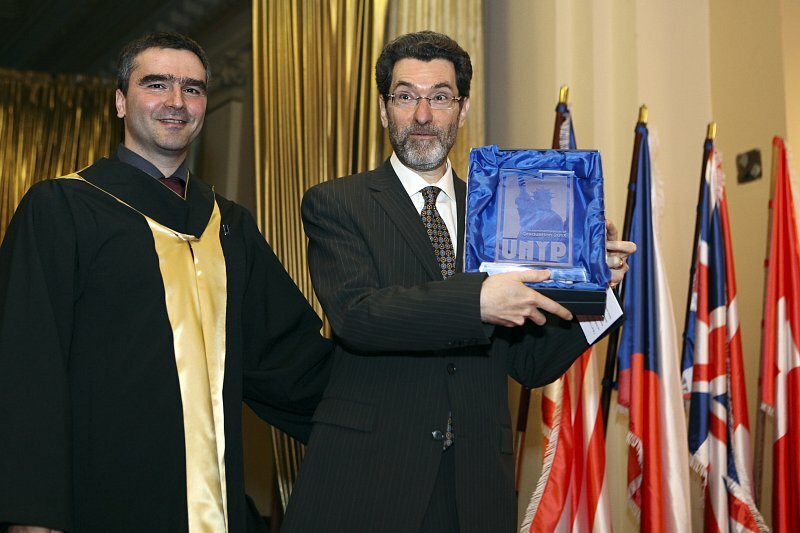 David Kubička (IUKB/UNYP, MB.A. ), Gina Di Malta (La Salle University, M.A. in Clinical-Counseling Psychology), Marie Adamová (University of Greenwich, LL.M in International and Commercial Law). 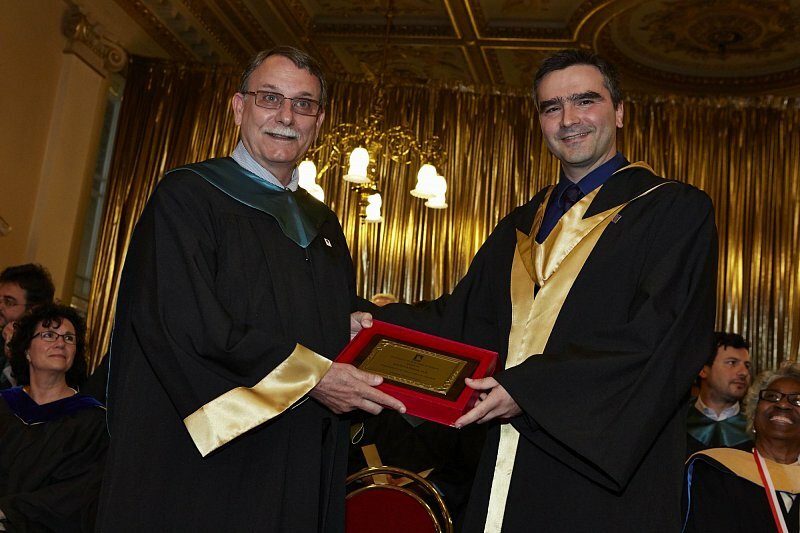 The ceremony was concluded by Mr. Ilias Foutsis, President and founder of the University of New York in Prague and New York College Educational Group. 80 students earned American bachelor’s degrees from Empire State College (ESC), which is part of the State University of New York (SUNY). 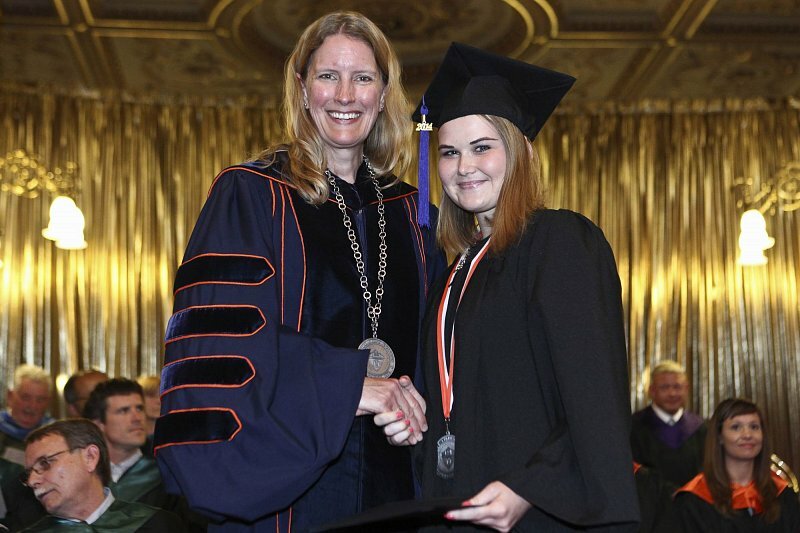 23 students earned European bachelor’s degrees from UNYP. 31 students were awarded MBA double degrees from the Institut Universitaire Kurt Bösch (IUKB) based in Switzerland and UNYP. 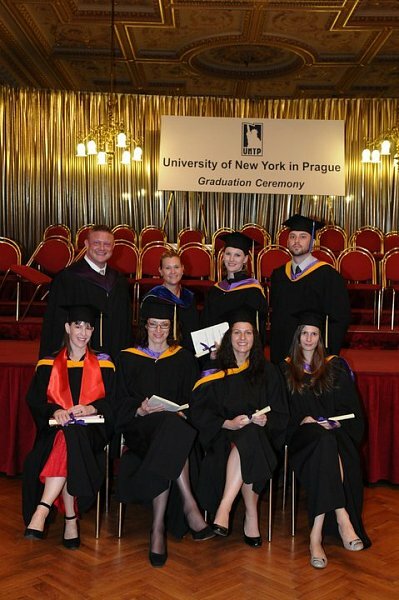 Nine students were awarded MBA degrees by UNYP. One student was awarded an Online MBA degree by National American University. 23 students were awarded Master of Arts in Professional and Business Communication and were awarded Master of Arts in Clinical-Counseling Psychology from Philadelphia-based LaSalle University. Finally, 16 students received Master of Laws (LL.M) degrees from Britain’s University of Greenwich. Over 800 distinguished guests, family and friends attended the ceremony to share in the success of our graduates. The management and staff of UNYP wish all our graduates success in their future careers or studies, and we proudly congratulate them on their academic achievements and successful graduation from UNYP. 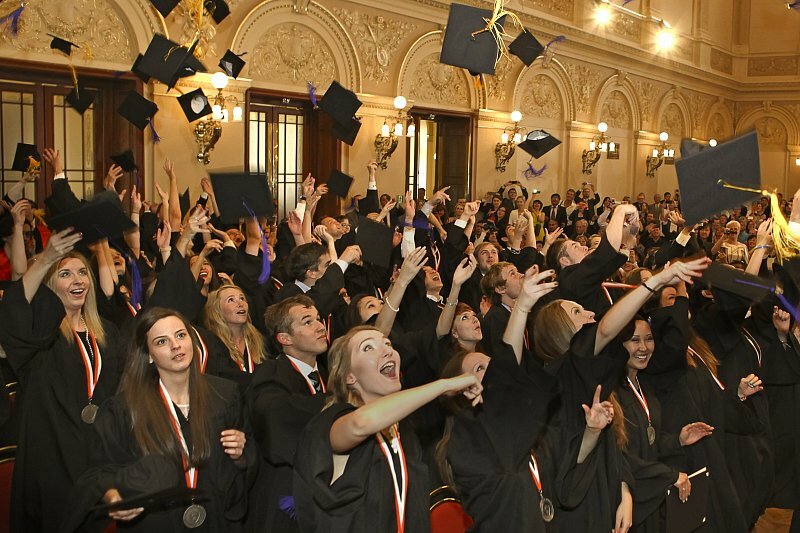 On 23 June 2012, the graduation ceremony for UNYP students took place in Žofín Palace in Prague. 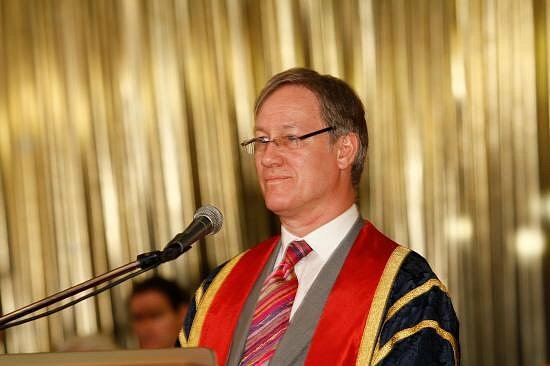 The main speaker at this year’s graduation event was Professor Simon Jarvis, deputy vice-chancellor at the University of Greenwich in the United Kingdom. 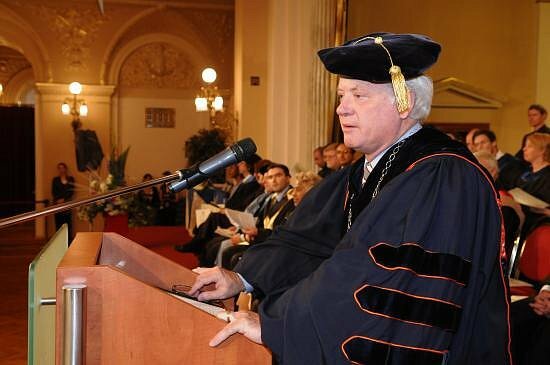 During the graduation ceremony, diplomas were awarded to 186 students from more than 37 countries, both from UNYP and from its partner institutions. Graduates received their diplomas in Business Administration, Communications and Mass Media, IT Management, International Economic Relations, English Language and Literature, Psychology, Finance, Marketing, International and Commercial Law, Professional Communication and Public Relations, Project Management, Human Resources, Finance and Banking, and IT Management. 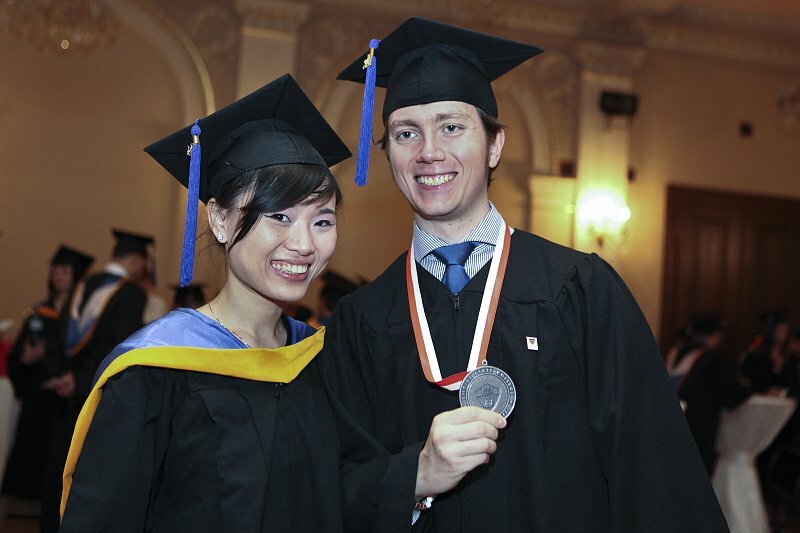 24 earned European bachelor’s degrees from UNYP. 50 students were awarded MBA double degrees from the Institut Universitaire Kurt Bösch (IUKB) based in Switzerland and UNYP. Four were awarded MBA degrees by UNYP only. 18 students received master’s degrees from Philadelphia-based LaSalle University. Finally, 12 students received Master of Laws (LL.M) degrees from Britain’s University of Greenwich. 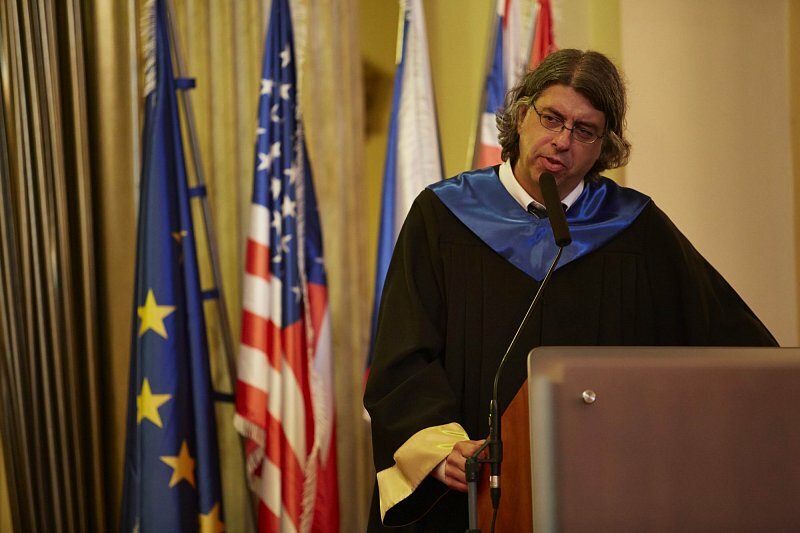 Commencement remarks were made from Mr. Erik Best, renowned journalist and publisher of the Fleet Sheet in the Czech Republic. The commencement ceremony was performed by Doc. Ing. Helena Fialová, CSc, from the University of New York in Prague. During the ceremony individual students were also recognized for their outstanding overall academic performance on their individual study programs: Jaroslav Čech (IUKB/UNYP, MBA), Barbara Isabelle von Burg-Hofer (La Salle University, M.A. in Professional and Business Communication), Kristýna Helešicová (University of Greenwich, LL.M in International and Commercial Law) and Xiaoqian Lin (ESC/SUNY, B.A.). The ceremony was concluded by Mr. Ilias Foutsis, President and founder of University of New York in Prague and New York College Educational Group. 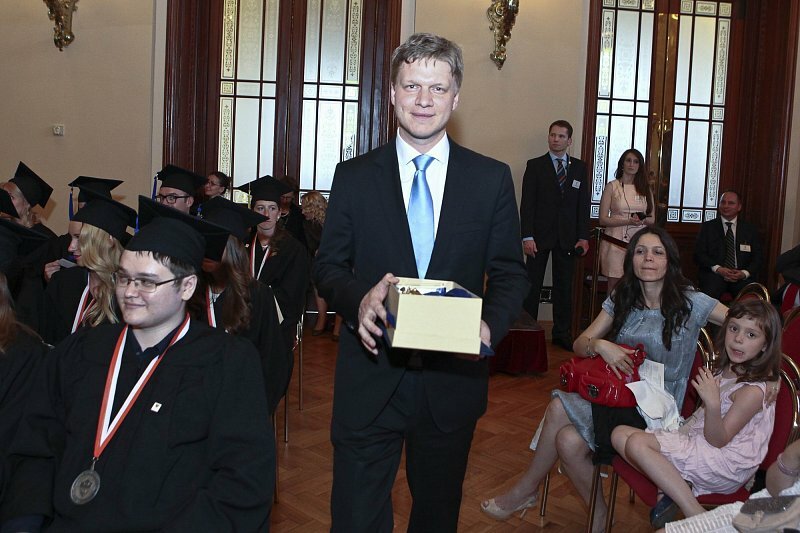 On 24 June, 2011 the graduation ceremony for UNYP students took place in Žofín Palace in Prague. The guest speaker was The Honorable Mr. Norman L. Eisen, the United States Ambassador to the Czech Republic. Over 100 students earned Bachelors of Business Administration, Communication and Mass Media, International Economic Relations (IER), Psychology and Joint Business/IER studies from the State University of New York, Empire State College (Saratoga Springs, New York, USA) and Czech bachelor’s degrees in European Business Administration from the University of New York in Prague. 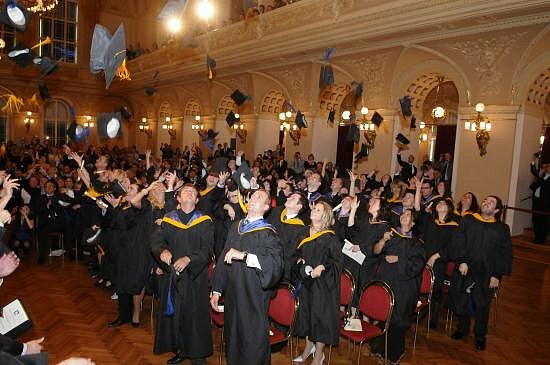 65 students earned an MBA degree from the Institut Universitaire Kurt Bösch (Switzerland) and University of New York in Prague. 17 received Master of Arts in Professional Communications and PR from La Salle University (Philadelphia, Pennsylvania, USA). Finally, eight students were awarded a Master of Arts in Clinical/Counseling Psychology from La Salle University. 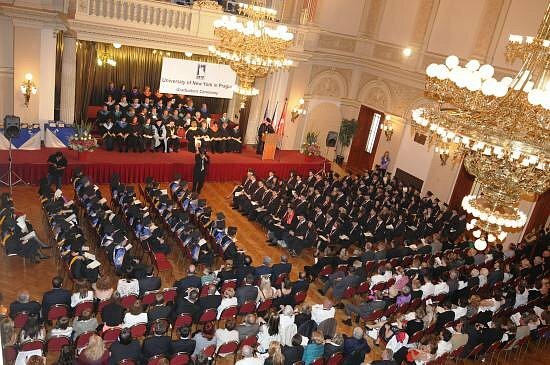 On 19 June 2010, the Graduation Ceremony for students at UNYP took place in Žofín Palace in Prague. The president of Empire State College, Dr Alan Davis, addressed the graduates and invited guests. 79 students received Bachelors of Business Administration, Communication and Mass Media, International Economic Relations (IER), Psychology and joint Business/IER studies from the State University of New York, Empire State College (Saratoga Springs, New York, USA). 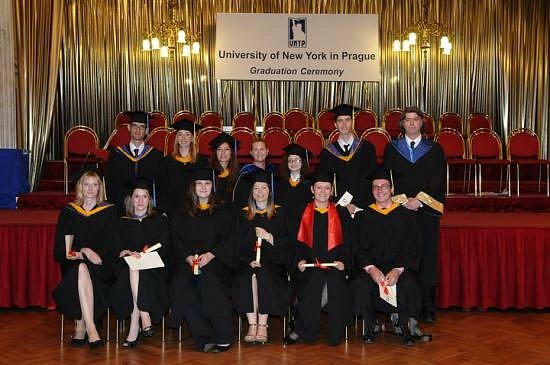 Three students received a Czech Bachelor of European Business Administration from the University of New York in Prague. 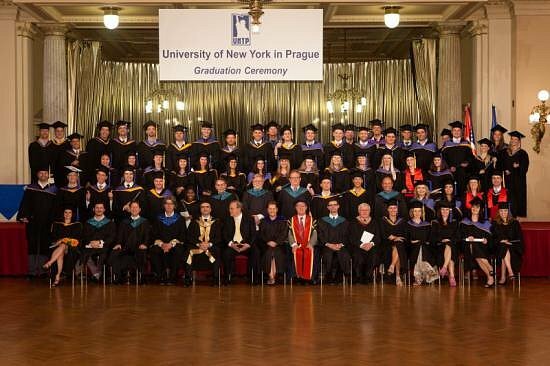 37 students earned a dual MBA degree from the Institut Universitaire Kurt Bösch (Switzerland) and the University of New York in Prague. Finally, 13 received Master of Arts in Professional Communications and PR from LaSalle University (Philadelphia, Pennsylvania, USA). 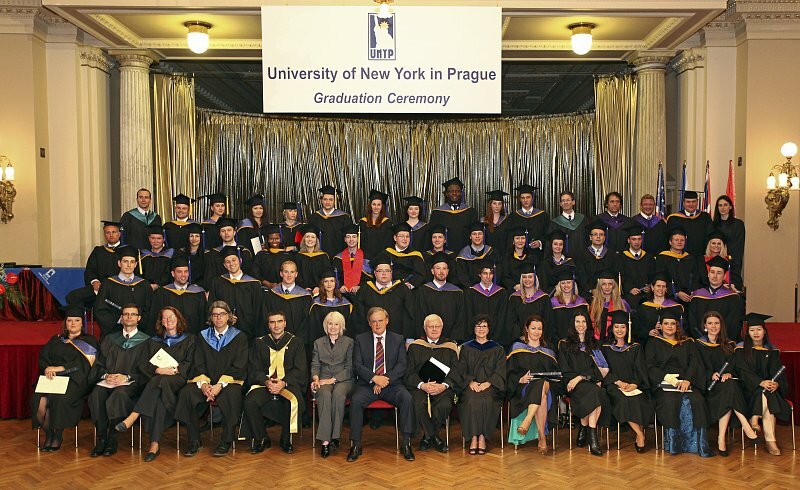 Other speakers and distinguished guests at the UNYP graduation ceremony included Ilias Foutsis, president and founder of UNYP; Charles Dufault, Ph.D. – Dean of the Business Programme, Institut Universitaire Kurt Bösch; and Doc.Ing.Helena Fialova, CSc, from the University of New York in Prague. Individual students were also recognized for their outstanding overall success on their individual study programs: Matus Valach (ESC/SUNY B.A. ), Martin Vetrak (IUKB/UNYP MBA) and Jana Hypsova (LaSalle University, MA in PCPR). Over 500 distinguished guests, family, and friends attended the ceremony to share in the success of our graduates. The management and staff of UNYP wish all our graduates every success in their future careers, and we offer them all our sincerest thanks and congratulations on their achievements. 83 students earned Bachelors of Business Administration, Communication and Mass Media, International Economic Relations (IER), Psychology and joint Business/IER studies from the State University of New York, Empire State College (Saratoga Springs, New York, USA). 32 students received a Czech Bachelor of European Business Administration from UNYP. 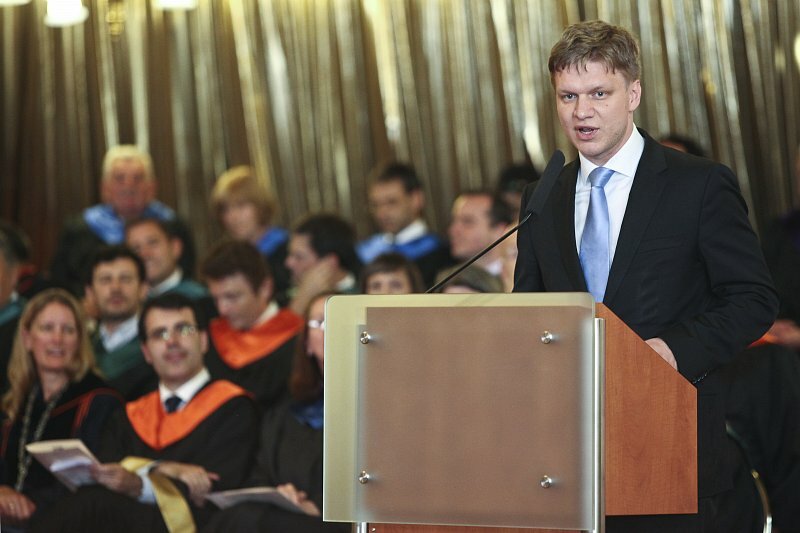 42 students earned a dual MBA degree from the Institut Universitaire Kurt Bösch (Switzerland) and UNYP. Finally, 22 received Master of Arts in Professional Communications and PR from LaSalle University (Philadelphia, Pennsylvania, USA). Other speakers and distinguished guests at the UNYP graduation ceremony included Ilias Foutsis, president and founder of UNYP; Charles Dufault, Ph.D. – Dean of the Business Programme, Institut Universitaire Kurt Bösch; Joyce Elliott, Ph.D. – Provost/Vice President for Academic Affairs, SUNY Empire State College; and Gerard Molyneaux, F.S.C., Ph.D. – Director of External and International Relations, La Salle University. Over 500 distinguished guests, family and friends attended the ceremony to share in the success of our graduates. The management and staff of UNYP wish all our graduates every success in their future careers, and we offer them all our sincerest thanks and congratulations on their achievements. 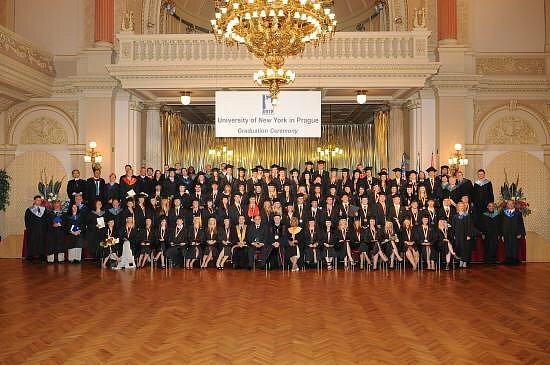 On 21 June 2008, the graduation ceremony for students at UNYP took place in Žofín Palace in Prague, with 169 students representing 29 different countries graduating. The guest speaker was The Honorable Richard W. Graber, the United States Ambassador to the Czech Republic. Ambassador Graber gave a very warm speech in which he recalled his own graduation, and highlighted the challenges facing new graduates. 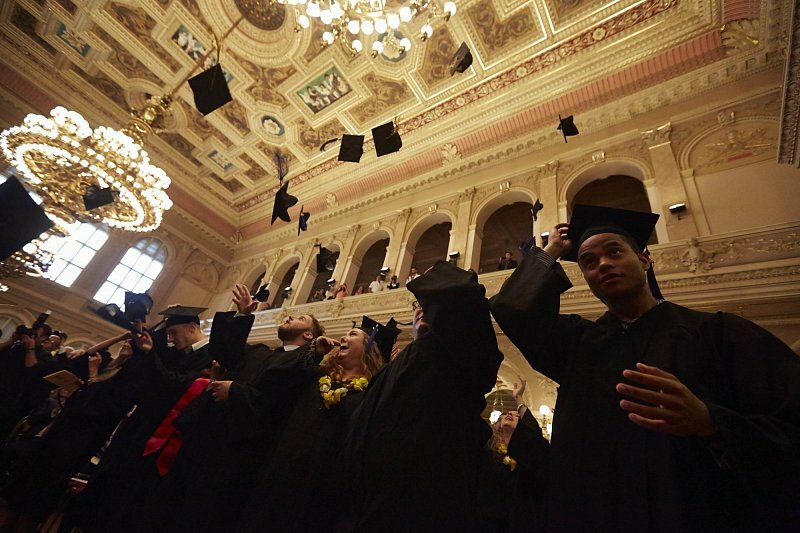 14 students graduated with a European bachelor’s degree. 99 students graduated with an American bachelor’s degree. 56 students graduated with an MBA degree. UNYP was also honored to welcome the Ambassadors from Albania, Belarus, Brazil, Croatia, Italy and Slovenia as guests. We are truly grateful to them for giving up their valuable time to join us in celebrating our graduation day. The ceremony in 2008 was even more special as it coincided with UNYP’s 10th anniversary. Our warmest congratulations go to all of our graduates, and they leave us with our best wishes for their future careers.